Post 19: We Step Foot into Austria, Because We Can! Guest Blogger Amanda here to chronicle our last day in Germany. So we are looking at the map and it is only 1.3 km to the Austrian border. Cool! So that is our plan for the day. Hike down to step foot into Austria, then come back and get on the train back to Munich to fly home to Seattle. First we have to check out of the hostel and store our luggage in a locker at the train station. With that done, we just walk out along the River Lech, south towards Austria. We pass a "waterfall" called Lech Falls. That is about the halfway point and then Austria is next. I decide to turn around and head back to town (I wanted to shop for a dirndl) and Ryan continues onward into Austria, he was thinking of making a loop out of the hike. This is it, the Austrian Border! Ryan will have to tell you about his adventures in Austria, before we meet back up again at the train station and head back to Munich Airport. Another great beer in the land of beer! And, in other news.... I'm sad to report but this is it. There are no more blog posts! My European adventures had finally come to an end. I flew to California to visit my mom, then on to Seattle and home. And I haven't really done anything blog-worthy since. Just working on my websites and walking around town. I'm still studying Polish--I hope to return soon and continue learning. There's so much more of Poland I've heard about and want to see! Guest Blogger, Amanda from Seattle. So one of the things that has been at the top of my bucket list is a visit to Neuschwanstein Castle in Bavaria. Just everything about the castle fascinates. It was the inspiration for the Sleeping Beauty Castle at Disneyland. The stories of its construction by Mad King Ludwig. It is built upon the ruins of two older castles and the decor is based on Wagner operas. Ludwig's mysterious death and the fact that the government opened the castle for tourists only 6 weeks after his death. The castle was never completed and Ludwig only lived in it 172 days before his death. The story is so fantastic and sad. It is about a 2 hour train ride from Munich and many flight attendants do it as a day trip from the Munich layover. But that is a very tight schedule because you have to go immediately when you arrive to Munich and you have to make sure that you get the last train back to Munich in the evening. I have always thought that the best way would be to go down and spend the night in Fussen, so that I could leisurely enjoy my time at the castle. So this is exactly what Ryan and I planned to do. I looked at tickets for the castle and everything online was SOLD OUT. It is June and just on the edge of the busiest season. Every website says that July and August are the busy season!! But surely they reserve some walk up tickets and perhaps there are no shows and a stand-by list? Ryan asks if I want to go to Fussen even if I cannot get into the castle and I say, "Of course!" Just the view of the exterior is fabulous and the hiking opportunities in the area will make the trip worth it. So we leave Munich bright and early. The train ride down was fun and we got to see a lot of the countryside. We arrived in Fussen a little too early to check into our hostel, so we decided to sit in a cafe and kill some time and make our plan on how to see the castle. There is a ticket office right at the train station and so we asked there about tickets. The girl said that they were all sold out for today, but that they probably would have tickets available in the morning. So, check back with them in the morning. I thought this was a good idea. There were sure to be no shows for the first tours in the morning. So tentatively, we planned to just walk around and hike to the castle today just to see the outside, and then early in the morning try to get stand-by tickets to the castle. Then whenever we were done, we would leave and head back to Munich. So by the afternoon, we got to check into our hostel and drop off our bags. Now we could hike up to the castle. It is approximately 5 km from Fussen out to the castle and there are many buses that take the tourists out there. You can also rent bikes and there is a paved bike trail that goes there. So it was very easy to walk out to the castle. During the winter, people cross country ski along these trails too. That is the castle in the distance! The Romantic Road ends here! Once we arrive at the area for the castle, we are still not done! There is a ticket booth, cafes and gift shops and some hotels too and buses and horse drawn carriages that will take you further up the mountain to the castle. We stop in the ticket office to ask a question. There are no lines now, but they have all the little ropes to mark off the area like at Disneyland or the Airport. We skip all that and just walk up to the counter. I forget now what I asked the girl, but she answered and I walked away. As we were leaving, Ryan asked me if I asked her about tickets today or for tomorrow. I had not thought about that, but we were here, so why not? So we returned to the counter and asked if there were tickets to see the castle. Yes, she says, we have some for 4:55pm. (it was now 4pm) This was one of the last tours of the day. Many people could not do this tour, because if you did, you missed the last train back to Munich, So only people that came up in cars or with some other type of tour could do the last tours of the day and still make it back to Munich the same day. So we immediately put down our money and bought the tour tickets, we even had some time to go to the Mary's Bridge (best views of the castle) before we had to be at the doors to do our tour! Of course, Ryan wants to hike up to the castle and this is where we part ways. I was already tired from the 5km trek and I wanted to take the bus up to the castle. So we planned to meet at the Mary's Bridge. I had to stand in line to get on the bus. An entire busload of Japanese tourists were ahead of me and I had to wait for a second bus before I finally got on and was on my way. When I stepped off at Mary's Bridge, Ryan had just arrived as well from his walk, so it was perfect timing. We had to keep a close watch on the time now as we did not want to miss our tour of the interior of the castle. We enjoyed the views, there were lots of folks hang gliding off of the ridge in the distance and we watched as they floated around and then landed in the valley below. Next, we walked over to the castle itself to figure out where we were supposed to be at 4:55pm. No bags were allowed inside the castle, so Ryan would have to check his backpack in a locker before we could enter. The man who was in charge there warned Ryan that they close only a few minutes after the last tour finishes, so he would need to come back and claim his bag immediately after the tour. The tour inside the castle is short, only about 30-35 minutes and you really don't see too much because the castle was unfinished. For example, there is no throne in the throne room. The building was begun in 1868 and Ludwig died in 1886. One of the best things was a video that showed how the building was designed and the construction progressed. When we came out of the video, we noticed that the cafe inside the castle was closed and the gift shop was trying to close and that is when we remembered that we needed to get back out to the front where Ryan had checked his bag before that guy closed up shop!! Ryan got there just in time and the gentleman closed and locked the doors behind him as he left! We walked back down to the ticket center area. I wanted to take the horse and carriage, but they were also done for the day. Ryan would join me on the bus ride back to Fussen. I crashed in the hostel and Ryan did a little more exploring around the village of Fussen before he also retired for the evening. Guest Blogger, Amanda from Seattle here [Ryan's note: Guest?! Amanda seems to have taken over my blog! ], reporting that Ryan and I arrived in Munich after a 4 hour bus ride from Prague. We checked into our hotel and then started walking around town. It was the weekend and there was some sort of festival going on. The streets were crowded with people and tents were set up with arts and crafts and food. There were several places where bands were playing. It was crazy. We walked down Brienner Strasse which was just a block from our hotel and headed towards the Marienplatz. Of course, Marienplatz was ground zero of the festivities and wall to wall people. We popped into the Hofbrauhaus so that Ryan could see it, but we ate at a smaller place nearby. I was beat, so we returned to the hotel and I crashed, but Ryan walked back out and around the English Garden. I particularly told him to check out the surfers on the Eisbach River there! The next day we got up early and caught the train to Dachau. I have been several times and I believe that everyone should visit the former concentration camp. Ryan had already visited Auschwitz, so I was surprised that he wanted to visit another camp. [Ryan's note: I'd actually been to the sites of two different concentration camps in Poland--but Auschwitz was the big one and I was curious if the Germans might have spun the concentration camp story any differently than the Poles did. The Germans, after all, were the aggressors and might want to downplay the horrors while Poles, as the victims, might be more likely to play up the horrors. But in both cases, it was a damning indictment against the Nazi regime.] But the museum at Dachau is extremely thorough and I think he enjoyed it. [Ryan's note: I'm not sure "enjoyed" is the correct word, but I'm sure you know what she means!] Plus we had a gorgeous day to walk around the grounds. Dachau was the first concentration camp and the longest-running one, and it was a training ground for the SS. What distinguishes Dachau is that what happened in the camp system as a whole happened at some level here first. Human medical experiments, gas chambers, etc. We returned to Munich and had lunch at the Augustiner Beer Garden. We turned in early because the next day we were leaving Munich for Fussen, Bavaria and the Neuschwanstein Castle! Guest Blogger, Amanda from Seattle back again to continue chronicling our adventures in Prague. The next morning, we got up bright and early and we did not even know that today would be a Bucket List day! Well of course, Prague itself is a bucket list city. It is very beautiful, one of the places that did not get bombed like crazy during WWII so there is still so much great architecture and history from pre-WWII. Its position along the river Vltava has made it a prime location throughout it's history. The first thing we did once we left the hostel was to check out the Dancing Buildings. They were only a few blocks away from our hostel. They are also referred to as Fred and Ginger. They were designed by the Canadian-American architect Frank Gehry. There is a restaurant inside, but the timing was off for us to go to it. Our next stop would be the Charles Bridge. John of Nepomuk was a priest in Prague under King Wenceslas IV (son of Charles IV). The Queen made a confession to John of Nepomuk. Unfortunately for him, the King was a very suspicious man, and he wanted to know the Queen’s confessions which John of Nepomuk would not reveal, not even to the King, because it would be against his commitment of confidentiality. John of Nepomuk was therefore executed by being thrown into the Vltava River from the bridge and drowned. The plaque on the statue of John of Nepomuk had been polished to a shine by many people who had touched it over the centuries. Tradition says that if you rub the bronze plaque (the one depicting St John being thrown off the bridge), you will one day return to Prague. We walked along the river to the Charles Bridge. 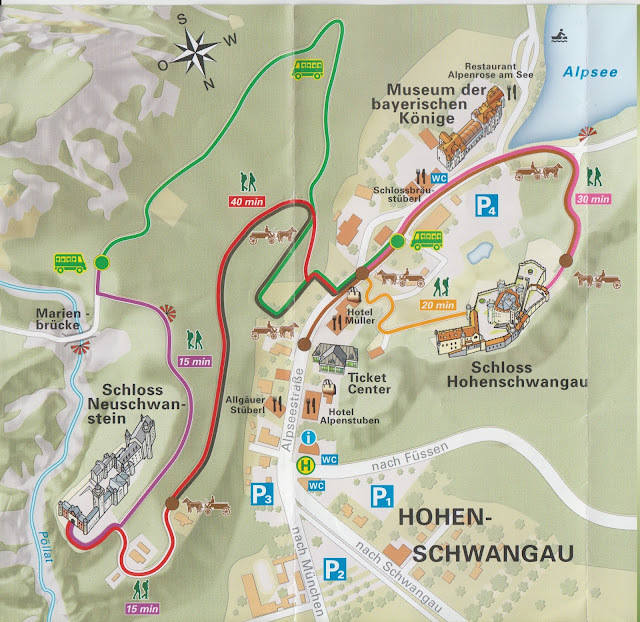 We would cross the bridge and then take the Funicular up to the Petrin Tower, visit the Mirror Maze and view the Castle and other sites up on the hill. Legend has it that Hitler stayed at the Prague castle when the Nazis took over Prague and he was not happy that the Petrin Tower obstructed his view. Loved the mirror maze, wish it was larger!! We walked down the hill back into Old Town Prague and as we were meandering around, I saw a place that offered FISH PEDICURES. This has been on my bucket list for a few years. They were outlawed in the United States as being unsanitary. These fish eat the dry skin off of your feet. At this venue, they washed my feet before I put them in the water and I had a sore on one of my legs (a mosquito bite that I had scratched too much) and they covered that with a piece of surgical tape. So I felt that the sanitary-ness of the procedure was fine. The fish nibbling on your feet tickles a little bit. And after a while it was quite monotonous, and I was ready to be done after the novelty wore off. My Bucket list item, A Fish Pedicure!! Then we walked on and found a place along the river to have lunch. We wrote our postcards and planned the rest of our day. Best Mussels I have ever had and that includes Brussels !! Then as we were walking back into Old Town, we saw the Zorby sign! Ryan was fascinated with the Zorby and the idea of walking on water in a plastic bubble!! So we decided to stop and fulfill his bucket list wish as well. You step into the bubble and then they fill it with air, blowing it up like a balloon. Ryan's Bucket List Item, Zorby on the water!! It was very challenging for Ryan to even stay upright in the Zorby. It was almost better to just lay in it and enjoy just floating around in a bubble. Trying to walk or move around was exhausting!! Decorated Eggs, REAL eggs, therefore, I did not bring any home, I was sure I would have them broken in pieces by the time we got back to Seattle. So we just stumbled upon this Model Train Restaurant. We were walking by and I saw the signs and I said that we had to eat there!! It was so amusing and so much fun. They had an extensive track layout and the trains went round and round, delivering drinks and taking away dirty glasses. And they take away your dirty glasses too! So really that was another bucket list item that we did not even know existed until we stumbled upon it!! We finished our day going back to our hostel and looking forward to traveling to Munich in the morning.